We cannot help but get carried away dreaming about our preferred summer destination, would this be Spain? 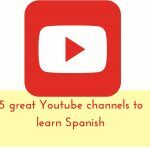 If you love this country or any other Spanish Speaking countries, you might be also interested in learning Spanish. Have a look at our last Blog post with a list of 5 great resources to do so! The best present you will find this year! Give your children the gift of learning a new language. your children will learn through pictures, activities, songs and videos that will make them dance and participate actively! Don’t miss this chance of joining our monthly membership with the first three months at half price! We are getting closer and closer to Christmas time and the brain racking exercise of finding gifts will begin. Here at Nanos Spanish we have selected our five favourite Gift ideas for children. I hope we can be of help. Visit us here to see our list. To be able to offer a second language at Nursery or Early Years setting would be really great. Having taught Spanish at all levels, I couldn’t be happier to have chosen to concentrate all my efforts to teach at Early Years. Children at early childhood are so eager to learn, they have so much fun by doing so that every session with them is pure joy. I realise that not all nurseries or Early Years settings have a specialist Language teacher, so I thought I could do something to help. Have a read at our Blog Post and find out how! 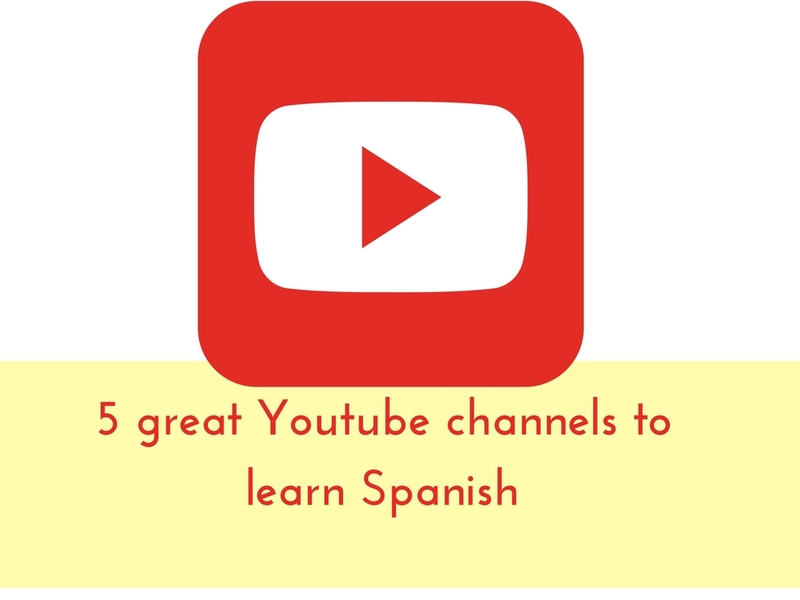 No time to come to our Spanish classes? are you already attending but want more? I am so excited to share our news! We have been working hard to extend our programme provision and be able to offer parents, nurseries and childminders and exciting educational membership to access all our resources from home. 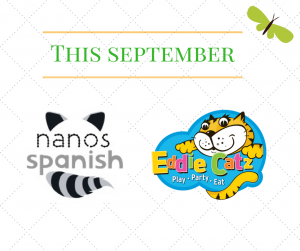 Nano Spanish Club will provide easy to follow lessons and activities for you and your kids to learn Spanish together. All our vocabulary will be also featured in a series of fun videos that will encourage the children to participate and be interactive. 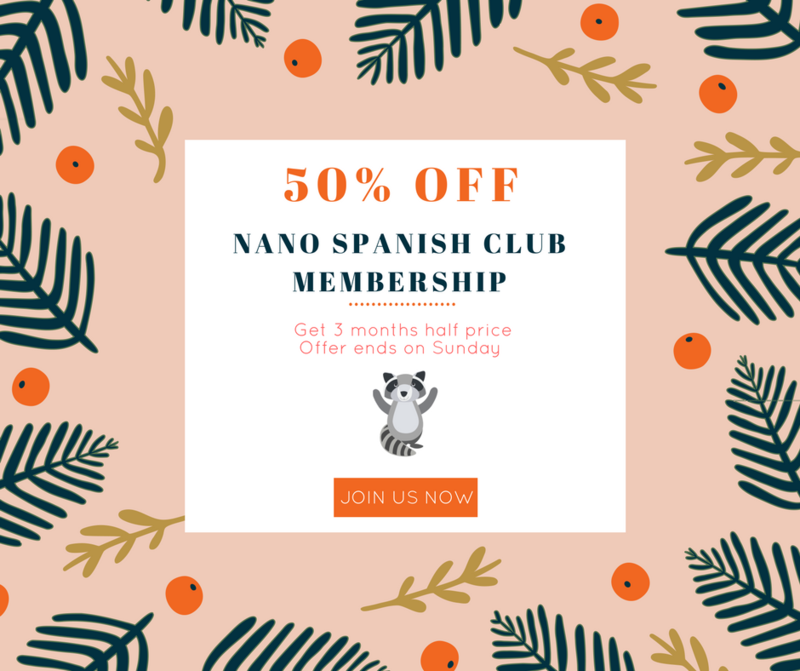 Have a look at our website Nano Spanish Club and register your interest so we can keep you posted. 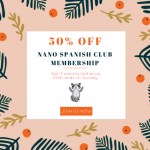 Join our FB group: Nano Spanish Club to start benefiting from some fun activities we are offering.